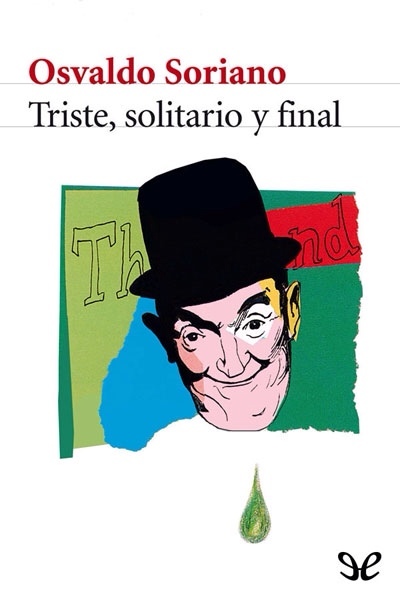 It turned out I was wrong – No Habrá Más Penas Ni Olvido, one of the best short novels I've ever read in Spanish, wasn't Soriano's first book – Triste was. Triste is a strange film-noiresque story about Ray Chandler's private eye Philip Marlowe in his sixties and near retirement and a literary version of Soriano himself, united on a strange two-man mission in the 1970s Hollywood. An homage both to Chandler's fiction and the silent movies by Laurel and Hardy, the book takes a few unexpected twists over its literary cortometraje. In my opinion, that's not Soriano's best, but after No Habrá … and Cuarteles de Invierno this Argentinian classic has a pass for anything. Soriano wrote only seven novels in his lifetime, Triste and the two mentioned above being his first ones – and La Hora Sin Sombra his last one, an unreadable book to my taste, I gave up on it – and still, the positive impact of the two Colonia Vela novels is so strong, that despite I was lukewarm about this one and very negative on his last one, the three unread books are on my reading list. In fact, in light of today's sad and disturbing events in Ukraine's Crimea, I strongly suggest that everyone who hasn't done so yet bought and read No Habrá Más Penas ni Olvido (the English translation is called Funny Dirty Little War, the Russian, Ни горя, ни забвения), this is a perfect account of how lifetime neighbours brutally kill each other in a short localized civil war in a small Argentinian village. It is priceless and timeless. Osvaldo Soriano is (well, was) a great Argentinian author. Bought No Habrá Más Penas ni Olvido by its cover in El Calafate and was amazed. That one and Cuarteles de Invierno are both definitely among the best books I have ever read in Spanish. Maybe in all languages. Sharp, agressive, you get glued to the pages and simply can't put the book down. There are English and Russian translations out, it's a must-read one. 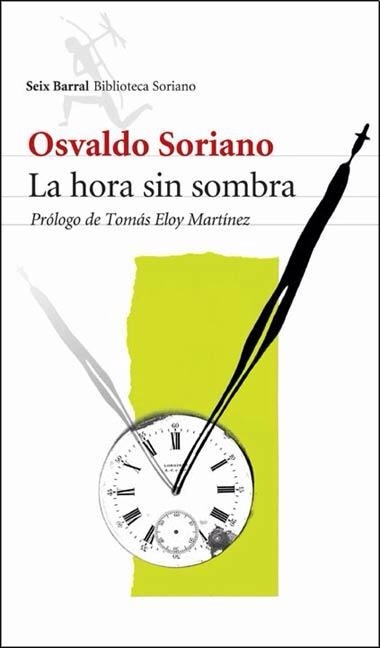 But don't, please, don't believe the people who say his last novel La Hora Sin Sombra (1995) is probably his best. It is not. Or maybe it is, I don't know, if you're much older than me. 36% down the road (kindle stats are meticulous), I just can't read it anymore. The life of his father (fictitious, not real) is something I get more and more bored after each page. No central theme, no storyline, no style that I like. I keep on telling myself I have to learn putting down and abandoning books I don't like. Here's a great chance to practice this art.